On the 10th of September each year, we celebrate World Mental Health Day. 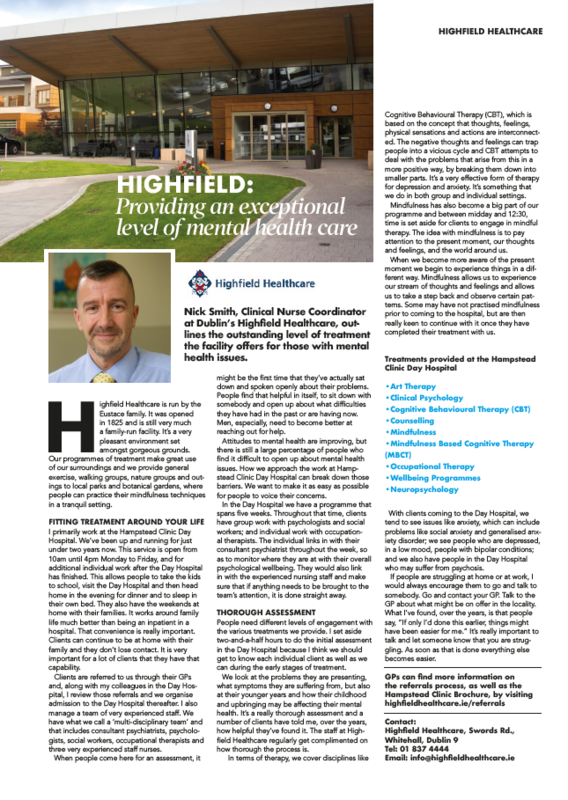 This year, Highfield Healthcare are delighted to be included in Hot Press magazine’s dedicated Mental Health Special Issue. 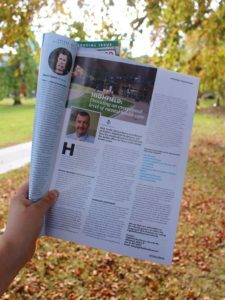 Nick Smith, Clinical Nurse Coordinator from our Day Hospital, spoke with the magazine about what is really means to be a client within this service. With an aim to demystify the realities of mental health treatment in Ireland, Nick covers all aspects from being referred by a GP to the types of therapy being utilized here in Highfield Healthcare. You can read the full feature by clicking on the image below or by picking up a copy of Hot Press, where you will find countless other stories and resources from the field of mental health.